Burlington is a wonderful place to live, work, raise a family and retire. The area offers a wide variety of outdoor activities whether you prefer lake, mountain or valley as your backdrop. The Church Street Marketplace is a great area to shop and enjoy one of many restaurants and is within walking distance of many neighborhoods. Burlington has wonderful established neighborhoods including the historic Old North End, Hill Section and New North End. The entire city is rich with history. Burlington also has a good public school system with a lot of diversity throughout its enrollment population. If you are looking for quality of life in a small town setting with access to the amenities of city living, Burlington is a great choice. 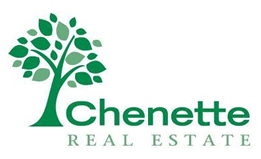 Contact Dave or call 866.532.2321 with any questions or a tour of Burlington and other Chittenden Vermont real estate offerings. Register now for custom Vermont real estate search updates direct to your inbox!